The female alt-rock trio from LA releases a new album with an exciting new sound. 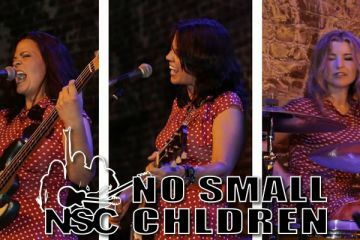 No Small Children is a three-piece from Los Angeles made up of Lisa Pimentel (guitar, vocals, horns), Nicola Berlinsky (drums), and Joanie Pimentel (bass, vocals, cello, accordion). The interesting thing about these three musicians is that they are rockers by night, and elementary school teachers by day. The band formed in late 2012 and released two albums, Dear Youth (2013) and Trophy Wife (2014). 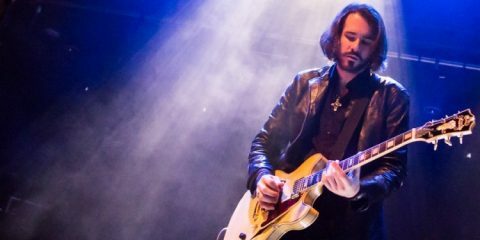 The band has been working in the studio on the new album and the release is scheduled for August 1. 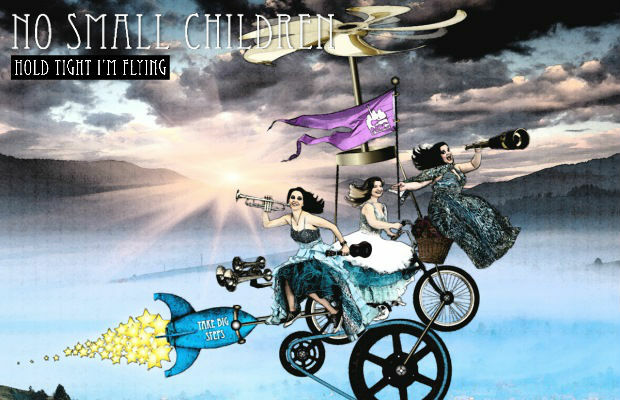 Hold Tight, I’m Flying is the third album for No Small Children. 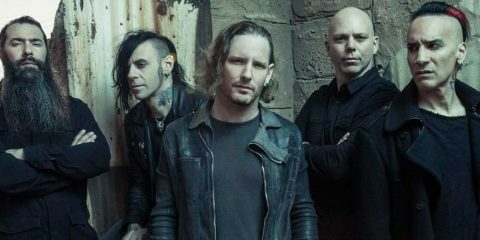 While their sound is grounded firmly in 90s alternative, the latest album marks a change from the previous two albums. The raw punk/alternative sound of the previous album has evolved into a more mature sound, one that represents the evolution of the band. The change is subtle but noticeable. The new album has more diversity and is daring as the band spreads their creative wings. It is just what is needed to make this one of the better rock albums being released this summer. The album includes ten tracks, is well mixed with a solid production value. The vocals are bright and easy to hear. Guitar, bass, and drums are also easy to distinguish. The album cover artwork is fun and whimsical, and a good representation for the musical flair of the release. The artwork was done by Joanie Pimentel and the photography by Kristin Elizabeth Madrigal. The album opens with “Big Steps,” a track with a big sound. The song has a serious rhythm line, including a swing drum beat and solid groove on the bass. The vocals have a strong presence in the mix as well and compliment the strong composition. Horns finish it off, giving this first track major production value. As the only pre-release song for the album, it is the perfect teaser to lure new listeners in and make them into long term fans. “Hold Tight, I’m Flying,” the title track for the album, is an upbeat song with the feel like it was written for a movie soundtrack. The rhythm line is 80s/90s pop rock with a positive message. Again, the incidental use of horns give the song an additional layer, which is just what is needed to finish it. There are many standout tracks on the album, besides those listed above. In truth, there are no ‘filler’ tracks on the release. “Machine” has the potential to be a crossover radio hit. The track has an uplifting feel, the kind for a road trip for someplace new. 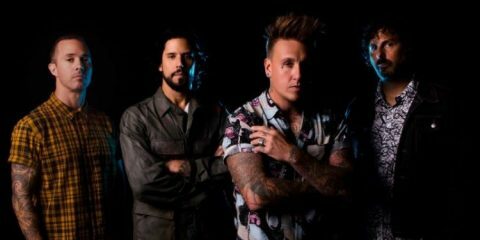 “Machine” is a rock song, but it has a noticeable country vibe, and could easily fit into a country setlist. 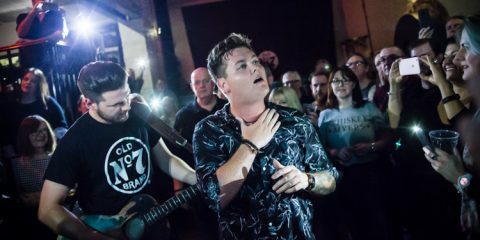 For a solid rock track, the band offers “I Don’t Want It.” A faster beat and prominent guitars give this a 90s alternative feel, with subtle hints of Weezer and Jimmy Eat World. “Take My Heart” is clearly an alternative track. It is quick paced and with B52s feel. This would fit well in any club on an 80s dance rock night. For a throwback sound, “Welcome to this World” will satisfy fans of punk with a modern spin. Strong influences can be felt from the Dead Milkmen and The Ramones. For a change of pace, “I See You Crying” slows things down with an emotion filled power ballad, again with country influences. The sax interlude gives it a 70s rock feel. It is not hard to imagine this song being played in a large concert hall with lighters being waved in the air. The “Jerk Song” kicks it back up with a more typical rock offering, bordering on the edge of alternative and mainstream hard rock. It is one of the heavier songs on the album. The lyrics are fun, the music has a strong hook, and the use of horns fits well. 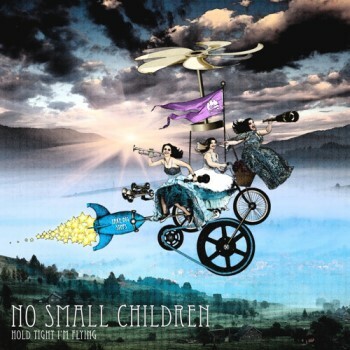 Another track demonstrating diversity from No Small Children is “Never That Far.” This song has a strong ska feel with a hint of country party music, such as Jimmy Buffet or the Zac Brown Band. “Take it Away” is a great way to close the album. 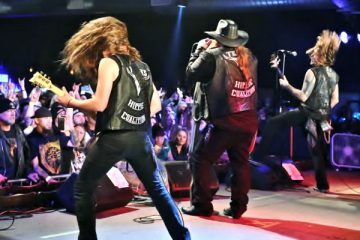 This song is a rocker straight through and fits best in the mainstream commercial hard rock category, making it a strong entry to pick up airplay. 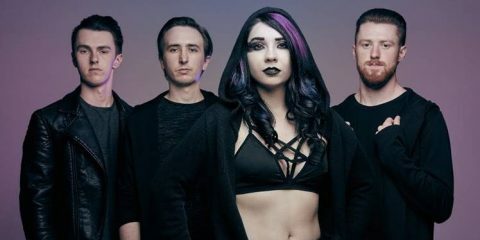 Think artists like Halestorm, Fireflight, or The Pretty Reckless. Overall, the musicianship is clear. Nicola Berlinsky is a solid drummer anchoring the rhythm line of the songs with an array of beats. Joanie Pimentel is a skilled bass player and backing vocalist, as well as being multi-talented with cello and accordion. 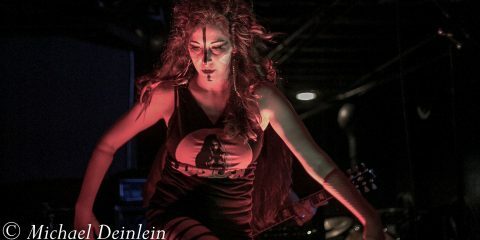 Her sister, guitarist Lisa Pimentel, is well suited as a rock vocalist, capable of adapting to a range of styles. But more impressively is her talent with all the wind instruments on the album. It is hard to place this album in any one genre. Although No Small Children is definitely rock, the musical diversity of Hold Tight, I’m Flying is both impressive and intriguing. While this is an independent release, the band manages to pull off a big production sound. The album comes out on August 1, and will be available from CD Baby, iTunes, and Amazon. Do yourself a favor and check it out.